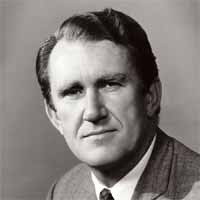 Malcolm Fraser a former liberal conservative Prime minister way back has the right idea regarding Australia going to war, not of my political persuasion Mr Fraser said that he thinks our government should take a vote on whether to go to war or not. I think he has a point a big one the Australian people are fed up funding a war which seems to be another Vietnam as are most of the American people. After all the fuss and ado with the Iraqi campaign (which is still going on) we should never have got involved in the first place. Let us hope that whoever wins the 2007 federal election makes damn certain we implement this suggestion in the Parliament whilst at the same time withdrawing our troops. It matters not what the Bush administration thinks one iota we must ensure that we do not continue with the stupidity the Bush administration seems to insist on. We here are a sovereign nation and are not beholden to the likes of Bush and his lackey’s. 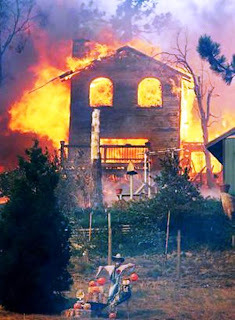 My prayers are with the folk of California tonight after the horrific fires it must be downright awful and to think that some of these fires were deliberately started well the mind boggles. What a sick world when people stoop to being LESS than an animal by doing this has baffled me completely. I feel absolutely no sorrow at all for the arsonist that was shot dead or the one arrested and I wish the authorities all the luck in the world to catch the rest as surely there must be more. At least with the intervention of the POTUS more help will be given to our Californian friends, I was horrified to read of the number of evacuations etc well shocked and stunned would be a better way of describing this. Whether a political stunt or not I am so pleased that somebody has had the guts to get up the RED CHINESE NOSE IN BEIJING the Han just marched on Tibet and just took the Himalayan hill kingdom just like that years ago, I blogged it once. Why should any of us cozy up to Red China we buy their goods that should be sufficient, you have to remember that the Red Chinese Government are really brutal killers never forget what they did to their own children in Tiananmen Square I rather liked it when my own Prime Minister finally agreed to talk to his Holiness the Dalai Lama, he did not want to but his hand was forced. is simply great and a way of annoying our trading partner to the North. I like annoying them a lot. 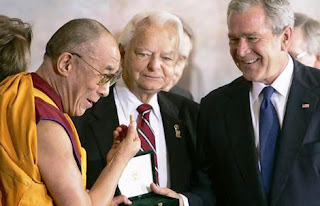 Well done George there are a couple of videos on the site I sourced this story from, well worth a squiz as well it seems these videos will not work on my machine but so what you get the drift I think, also I meant to say that China has officially warned US President George W Bush not to meet the Dalai Lama. Who the hell do they think they are I won't say but would love to would I ever. Well not fanatics but just people concerned about their security. All we hear lately is news on spammers / scammers and sadly it’s getting worse, I had to pay my provider extra cash to keep spam out of my account needless to say a bit still slips through the net. These lowlifes are also on eBay I have run foul of em so the odds are you will or have, nothing it seems is sacred these days except the mighty dollar, you are stepped on abused etc. Not content with that these lower than low lowlifes resort to phoning you at meal times yeah tell me about it. 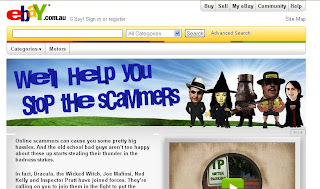 eBay has a video all about it; it might be a good idea to have a squiz at it I put it on this blog post, actually this is but one of 5 videos on eBay all have a similar message. Since I spend a fair bit of time on eBay I figured I would pass this on plus a tip of my own which is when I sell to my own country I prefer to be paid by direct bank cash or online deposit, I use Paypal only if I purchase goods overseas. I found it quite safe, a friend in Idaho told me she uses it and has had no problems, and a guy at my bank told me he uses it as well. He also gave me some sound advice on buying by credit online, I won’t insult your intelligence by saying what advice, but you could ask at your bank or financial institution if you think you need advice ok eyes down look at the video. If it was well the war of words will still go on in my opinion. 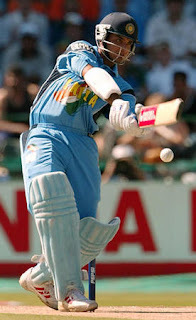 Cricket on the sub continent can get violent at times crowds, betting and things of that nature plus the heat all these things help joggle this along. So this incident with the bird and the aircraft in which both teams were traveling in may just help both sides keeping their cool. I find it sad in a lot of cases that razor wire is on a lot of the grounds a crude form of crowd control if you ask me. Human nature being what it is sadly it is necessary in some cases and not just in India I assure you. I myself still think there should be an investigation into the claim of racism as it happens and much more than the average bloke seems to think when he is viewing the sport at his local club complete with grog of course. It definitely goes on and by all teams usually I have just received an e-mail from a fellow blogger who is Indian and lives there this is his blog well one of them here but this is what told me I quote!! 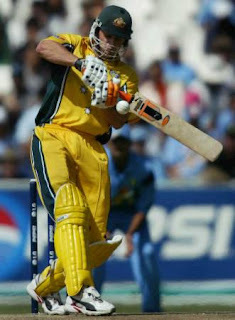 And the audience wasn’t actually Monkey chanting against Symonds. They were praying. They were calling out "Ganapathi Bappa Moriya", which is praising Lord Ganapathi. They were praying since the batsmen were getting out. The chant, well, honestly, to someone who isn’t familiar with the Indian Gods and local language, will not be able to make head or tail of it, and will sound weird. !!Unquote. This sledging and discrimination has gone on ever since I was a boy but it is much worse nowadays. You are a good channel for most sports so I watch at times I watch your news occasionally but what got me was when I switched on at 5 AM this morning and you were screening the (American ABC) so I guess my question is why? this is Australia not America, one wonders do Americans watch Australian news before their own comes on OF COURSE THEY DON’T why should they anything of interest from our shores is on their own broadcasts and vice versa. Such a waste of money and I don’t suppose you are the only channel that does this as I have heard rumours of CNN being watched. I can hear the groans and moans already this is what you will hear. We are all into my space and all these other social networks for example; it doesn’t mean a thing Mom and Dad Grandma and Grandpa. But I assure you it really does you will never ever discover comradeship like the world scouting movement does not ever unless you count the military and come on be honest nobody really wants to be a soldier except the dedicated few (thank God for the dedicated few and draftees) I must not forget them guys. After my previous whinge about you tube I found I had an excellent video clip on the centenary of world scouting so I have included it in this blog. If I have put it on before forgive me as I may have being a bit long in the tooth now (what teeth lol). 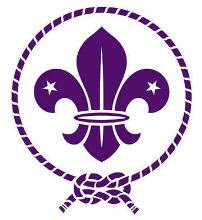 All are welcome to join the scouting movement started by Lord Baden Powel one100 years ago now. Originally it was a boy’s only affair but that stopped and the girls are very welcome. As you can see by the video clip and there are others on the site scouts will or have climbed Mount Everest a mob from Hampshire in the UK. Amazing huh when you think about it. There is a scout den near my house but to be honest I have never seen any scouts here; there obviously is of course. Now don’t laugh but I was a cub leader myself as a young man and I have a friend in the USA who is a scout leader of an all girl troop takes them camping etc I won’t mention the area she lives in as I think she wants to remain anonymous so I will honour her wishes. There are no racial prejudices here or religious ones which I think are of our own making personally. So come on enlist enroll whatever and put some fun back in your life you can always tell your pals on my space, I am a member of my space myself but I don’t quite understand it all; I still gave it a shot though. Anyway have a squiz at the video it certainly makes a bloke think, it did me. 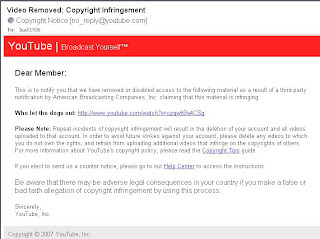 I was told that they had decided to make a video I uploaded as a breach of copyright and it has been up there for months, I originally got it from friends via e-mail so my view is if it can be sent via e-mail to all and sundry why does that not constitute a breach of the copyright law. I must say that I did check beforehand and it was just fine but it seems not. Click on the image to see it better. The letter in part said. I quote!! This is to notify you that we have removed or disabled access to the following material as a result of a third-party notification by American Broadcasting Companies, Inc. claiming that this material is infringing: !! Unquote. You can read all of it on here but I fear that this is just sour grapes on the part of the ABC the strange thing is they did not remove it so I did. I had the usual threats so I think I might stay with live video for a while and see how things turn out. I am tempted to remove all my videos and put them up on live video but I just can’t be bothered. 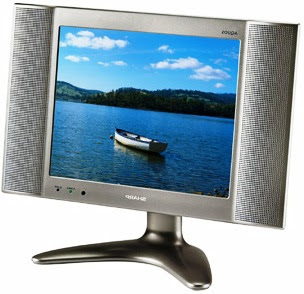 I have the facilities to download them and convert them back to WVI format but in my view it is just not worth it. 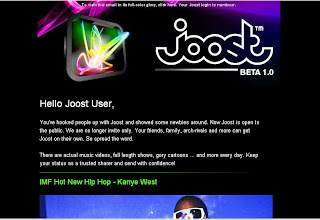 Joost number one in free internet TV not to be confused with classic cinema online. Is now available to all and not just by invitation only which is good to know I do advertise it on my blog as invitation only but peoples that has now changed. 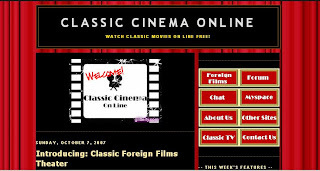 Do not confuse this with classic cinema online which I personally quite like there are many old movies on classic cinema on line my particular liking is the spaghetti westerns I saw so many years ago. Take your pick folks I find them both good also on classic cinema online there is a chat room (chatty world central); this is also featured in the sidebar of my blog and I thoroughly recommend all of these sites. There is none of the huge downloads which one gets if they use the bits torrent method either. Once again I highly recommend classic cinema online and Joost. Just click on cinema. Comments as usual are most welcome please click on the images to view them. It has not got the look of Google or Yahoo as yet but I think it soon will; ok so MSN has one as well anyway check it out here or have a SQUIZ as we say here. 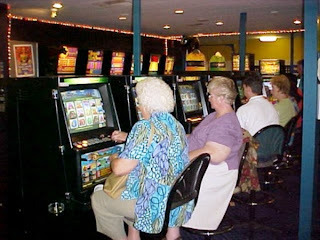 I was writing to a friend the other day and it was mentioned having a few bucks on the slots. I am not too certain what states have them but I found it interesting as here in the land down under they are here in every state in casinos licenced clubs and quite a few hotels or pubs. I must emend that slightly as I read there are none in Western Australia only in a casino there. When I first came here the only state that had them was New South Wales and folks in Victoria got coach trips over the border just to play them. That of course is finished and the bloody things are everywhere, gone are the days when you could pop into a pub for a drink and a chat, now you can still pop into a pub for a drink but nobody socialises anymore. It was rumoured in NSW many years ago that these machines which in those days came from the USA were Mafia controlled but I could not swear to that. I did read that the Bally Company in Australia represented by Jack Rooklyn (an Australian) was from Chicago and could have been Mafia controlled just hearsay of course. 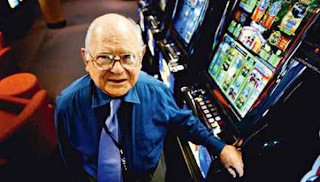 Then there is Ainsworth the Aussie poker machine king and well over 80 here he is pictured below. So I suppose summing up they are ok now and again but not 365 days per year or 363 as most clubs and pubs if they do open on Good Friday or Christmas day do not permit the playing of machines as far as I know. Comments are most welcome please click on the images to make them large. Is this the way to live? I don’t think so and hopefully most of us don’t either. We have poverty in western countries that can be fixed merely by affixing a signature in the various governments like senates parliaments congresses etc I could go on and on. These problems are not fixed either but the plight of some oppressed people in countries like Burma can be, this is just Red Chinese oppression and will go on and on until something is done. This oppression by the Chinese Government is a bloody disgrace this is the same mob who wants the world to visit Beijing next year for the 2008 Olympics. If I had the cash I would not go out of sheer principle, I may watch some of it on my Television set as I like sport but that’s as far as will go I assure you, especially reading about Burma (DON’T FORGET TIBET) by the way will you. 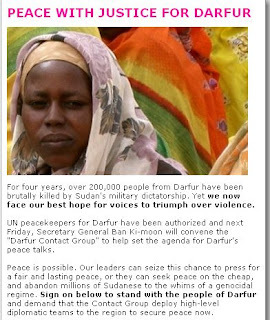 Foreign aid to this country at one time was appropriated by authorities in Khartoum but I believe that has been stopped. Aid that was donated by our own Australian people was discovered to have not been delivered that quite shamed me but the excuse was it was not getting to where it was needed; I and thousands of other Australians don’t believe that excuse at all not for a moment no sir. We sadly live in a rotten world countries in the west do help it is true, some say why should they, I SAY WE SHOULD. Hopefully if you visit this site you will find out how you too can help the plight of the unfortunate peoples and it is not money so please click on it. We must wake up to what is going on one day it will be far TOO LATE please click on all the images to view them full size.